Edited by Mohammad Shamsul Ola . 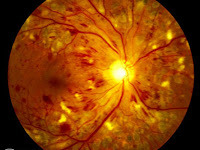 During the past few decades great progress has been made in our understanding of pathophysiology, management and treatment of diabetic retinopathy. However, diabetic retinopathy still remains the leading cause of blindness among working adults worldwide. The goal of the book is to provide an update on latest developments in the understanding of pathophysiology of the disease, diagnosis and recent treatments strategies for physicians, ophthalmologists, researchers and medical students. This book covers topics ranging from pathophysiology to clinical aspects of DR and emerging treatments and concepts in diabetic retinopathy. The first section serves as a description of current understanding of the cellular and molecular mechanism of pathophysiology of diabetic retinopathy, in order to develop possible therapeutic strategies. The second section describes general pathogenic concepts of inflammation and angiogenesis. The third section describes clinical aspects and modern diagnostic features. 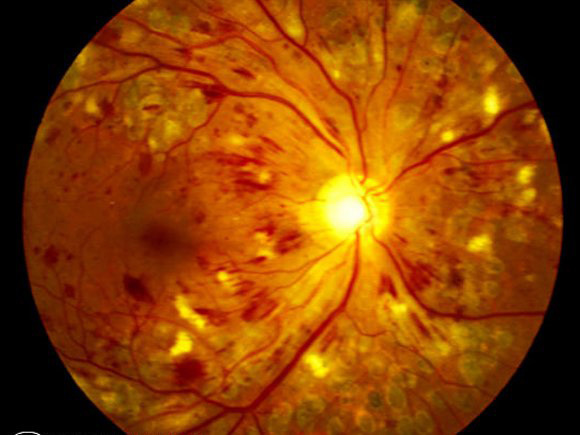 The fourth part discusses recent concepts and emerging treatment strategies relating to the management of diabetic retinopathy. The originality and style of the text by authors have been kept intact, although some aspects overlap in more than one chapter which is justified by their unique approach and interpretation. I am very grateful to all the contributors who have worked very hard to make this book a reality. I would also like to thank staff at INTECH, especially Mr. Igor Babic, Publishing Manager and the technical team who did a great job working together on this book. I hope this book will provide a resource for advancing understanding, as well as improving diagnosis and treatment strategies in the effort to help numerous patients who suffer from DR and are threatened by visual loss.